A mare by the New Zealand bred eventer Internet won a prize at the Blenheim International Horse Trials, on the same weekend as her half brother finished sixth in the CIC*** event. Interlude, by the former New Zealand eventing stallion Internet. Interlude's half brother by Jumbo, Jagganath, after the dressage at Blenheim. 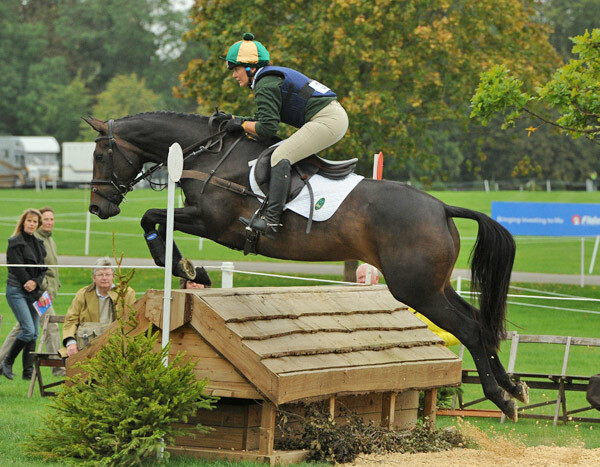 The combination finished sixth overall in the CIC*** for 8 and 9 year-olds. Interlude, a six-year-old ridden by Louise Hinckley, was named the most stylish combination in the Dodson and Horrell Riding Club event challenge at the weekend. Her half brother, Jagganath, and rider Michael Jackson, won the Ariat prize for the highest placed Blenheim debutante horse and rider combination and the Oxford Times prize for the highest placed rider living within a 50-mile radius of Blenheim. 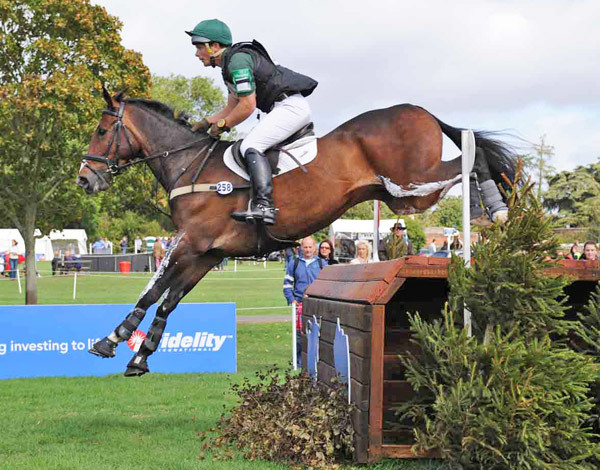 The combination finished in sixth place in the British Championship (CIC***) class for 8 and 9 year old horses, behind winner William Fox-Pitt and Oslo. 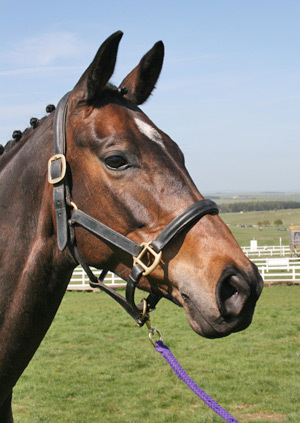 Carole Mortimer, a freelance equestrian journalist based in Wiltshire near Chippenham, bred Jagganath, who is by Jumbo, and his half-sister Interlude from her mare Dubathorn, who is by the thoroughbred Dubasoff. 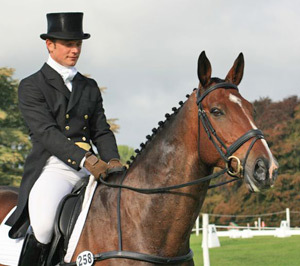 Interlude came into the world after Kiwi eventer Kate Hewlett stayed with Mortimer in 2004 during her British campaign with the New Zealand-bred stallion Internet, who was then owned by Jon and Joss Bayley. Dubathorn was put to Internet, who was sold to the US later that year. Interlude is the only Internet offspring in Europe. 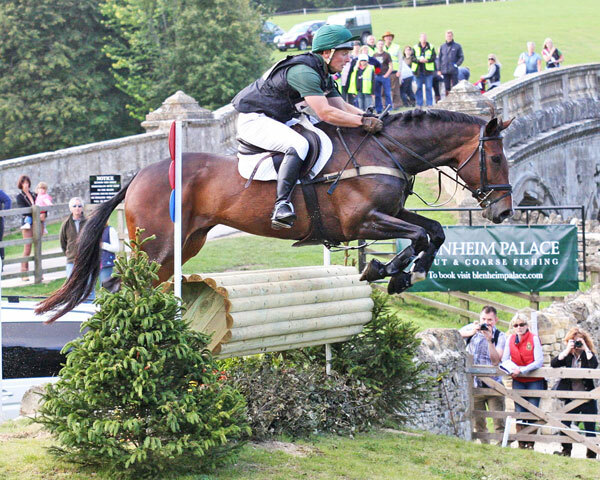 During their time in Britain in 2004, Hewlett and Internet were 15th at Badminton from 81 starters, fifth at the British Open Championships, and seventh at Burghley in a field of 90. At nine, Internet was the youngest horse at all of those events and was also the only stallion to complete. Interlude is owned by Mortimer and is on loan to Louise Hinckley, 21, who is one of Michael Jackson's grooms. Internet, a New Zealand team reserve for the Athens Olympics, went from novice level to advanced in one season, and was placed in 14 out of his 15 eventing starts. He is by Nicoli Fife's late stallion Oldenburg, who also sired the Taupo CCI* Winner Charlton Noted. His dam was the B grade showjumper Dolly Gray, who has produced many successful eventers, including Tactics (advanced, sold to Spain), Mrs Robinson (intermediate, sold to Canada). Oldenburg's sire Inschallah was a French-bred grey anglo arab who was exported to Oldenburg in Germany where he became the most important sire next to Furioso II at the famous Vorwerk Stallion Station in Cappein.